Milton Keynes University Hospital (MKUH) NHS Foundation Trust is a medium sized district hospital that provides a full range of acute hospital services and an increasing number of specialist services to the growing population of Milton Keynes and the surrounding areas. With around 550 beds and employing more than 4,000 staff, the hospital sees and treats appropriately 400,000 patients each year comprising of both outpatient and emergency attendances. All inpatient services and most outpatient services are provided on the main hospital site. The Trust is organised into four clinical divisions (medicine, surgery, women and children and core clinical) and a number of corporate directorates. The executive directors, and clinical service unit (CSU) leadership teams, are responsible for the day-to-day management and running of the hospital’s services, with ultimate management accountability resting with the Chief Executive. Over the last 10 years, the Trust has invested significantly in its site and has developed a number of new services and pathways to improve outcomes for patients, as well as the experience they receive whilst in our care. A number of further developments are planned for the coming years as the health demands of the local population change. In 2015, the Trust entered into a partnership with the University of Buckingham to establish the first independent Medical School in the country. 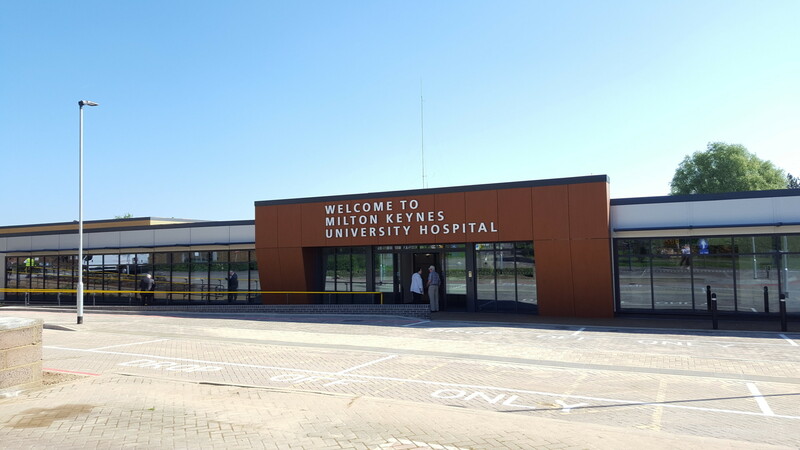 The first medical students commenced pre-clinical training at the University in January 2015, and in April 2015 the Trust changed its name to Milton Keynes University Hospital NHS Foundation Trust to reflect this status. As part of our partnership with the university, we opened our state-of-the-art medical school in 2017 which will enable us to attract, train and retain the best clinical talent.